From £1,699 per person for 12 nights (£2,449). Fares are per person and are based on two people sharing. 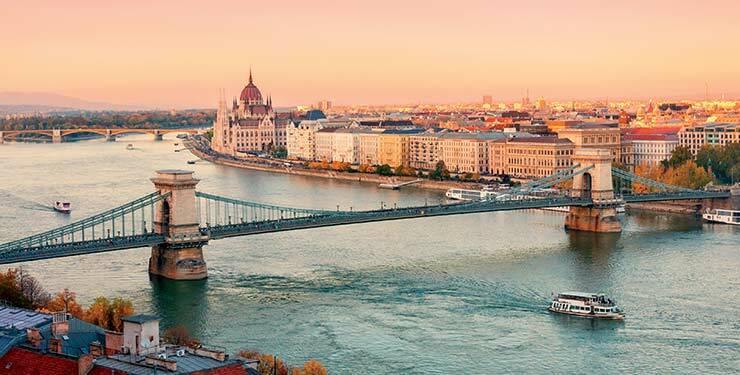 Delight in the scenic splendour and magical cities of the Danube on this comprehensive river cruise. discovering Vienna, Austria’s captivating capital. Day 1: UK to Budapest to Visegrad. Day 2: Visegrád to Esztergom. Spend the morning in Visegrád on the Danube Bend. Depart for Esztergom, arriving with time to explore independently. Day 3: Bratislava. Enjoy an included tourist 'road train' tour of the capital's historical Old Town and Bratislava Castle. Day 4: Vienna. This morning, enjoy an included half-day tour of this city steeped in imperial history and contemporary attractions. Day 5: Vienna to Krems to Weissenkirchen. Arrive in Krems, a UNESCO World Heritage Site, with quaint narrow streets and 16th-century houses. Depart later, arriving at the wine town of Weissenkirchen in the Wachau Valley mid-afternoon. Day 6: Linz. Amadeus Classic arrives in Linz at lunchtime. Day 7: Linz. Enjoy another day to soak up the vibrant atmosphere of this former European Capital of Culture. Set sail late tonight. Day 8: Passau. Arrive in Passau, the 'Venice of Bavaria', this morning. Set sail before dinner and sail overnight towards Melk. Day 9: Melk to Durnstein. This morning, explore the historic town of Melk. Later, to Durnstein, where you can explore independently. Set sail early evening for Vienna. Day 10: Vienna. Arrive in the early hours and have the whole day at leisure. Day 11: Budapest. Three cities became one when Buda, Pest and Óbuda merged in 1873 and are still very different in character. Arrive mid-afternoon for time at leisure. Moor here for the next two nights. Day 12: Budapest. There are magnificent sights o discover on your included half-day sightseeing tour, including UNESCO-listed Buda Castle. Day 13: Budapest to UK. Saga Cruise Assistant on board. To book call Saga on 0800 302 9753. 1) Price based on 2 sharing a Haydn Deck (aft) cabin with return flights from London Heathrow and is subject to availability. 2) Cabin upgrades and single cabins are subject to availability and additional charges may apply. 3) To travel from your local airport (subject to availability and additional charges), please call for details. 4) Offer for Saga Possibilities members only. 5) Offer applies to new bookings only and cannot be used in conjunction with any other offer. 6) VIP door-to-door travel service - Includes a return chauffeur service from your home to your local airport for an included domestic flight to your main departure airport, standard class rail travel from your local station to your departure airport, or complimentary parking at the airport if you'd prefer to drive yourself. 8) To book please call Saga Holidays on 0800 302 9753.